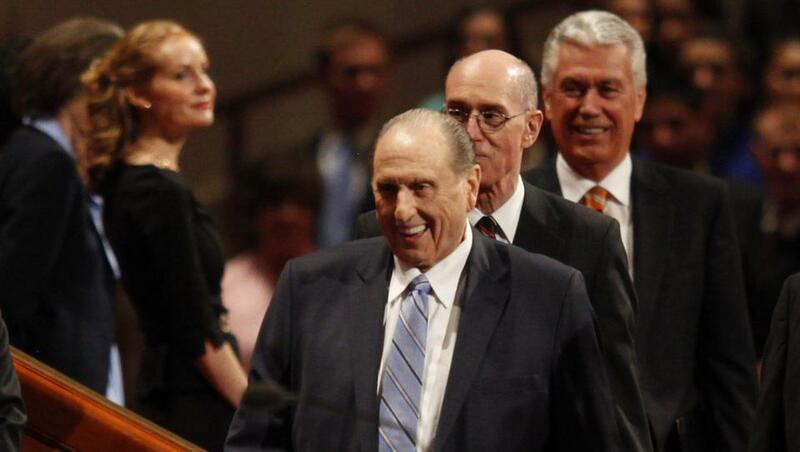 Latter-day Saints revere and honor their prophet, President Thomas S. Monson, his two counselors, Elder Nelson and the 11 other apostles who preside over the church, each of whom is expected to speak at the faith's semi-annual general conference this weekend, but on occasion critics contend the faith's highest authorities are too old and out of touch. At least twice in the past six months, in major forums, apostles have responded to such criticisms, complaints that mystify church insiders like Elder Hallstrom who travel the world with the 15 members of the First Presidency and Quorum of the Twelve Apostles and sit with them in their meetings every week. In a rare, 75-minute interview with the Deseret News, Elder Hallstrom provided an insider's view into the inner workings of the First Presidency and the Quorum of the Twelve, revealing insight into their work schedules, weekly meetings, travel schedules and personal ministries they said illustrate that LDS leaders are thoroughly engaged and relevant.